Beloved thrift store celebrates anniversary with a pie eating contest, celebrity dunk tank, food trucks and carnival games. 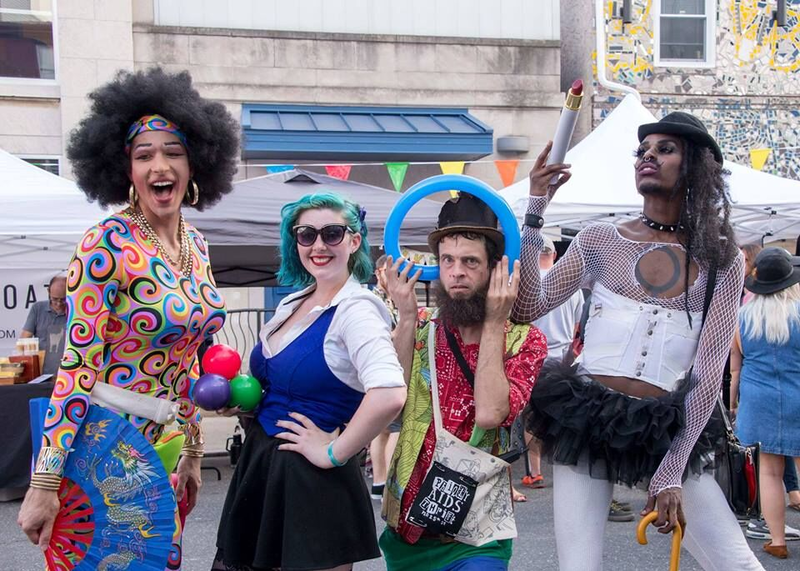 Philly AIDS Thrift (PAT) celebrates its 13th year of providing creative retail, quirky charm and community building with its annual free block party on Saturday, Sept. 22 from noon to 6 p.m. Located along 5th and Bainbridge streets, guests will enjoy more than 25 craft vendors, special performances, food trucks and carnival games. All proceeds from the day, including purchases made at PAT during the block party, benefit PAT’s mission to provide funds to organizations who help people living with and affected by HIV/AIDS in Philadelphia. For more than 13 years, thanks to donations, volunteers and shoppers, PAT has donated more than $2.2 million to organizations fighting HIV/AIDS including The AIDS Fund, ActionAIDS and GALAEI. New this year, CBS 3’s Jim Donovan will emcee a public pie-eating contest. Also throughout the day, there while will be performances from the Cheddar Boys, and circus acts including the Squidling Brothers and sideshow clown Mackenzie Moltov. WXPN’s DJ Robert Drake will be on the turntables providing tunes for everyone to dance in the street. Participating food trucks include SPOT Gourmet Burgers, Kung Fu Hoagies and Franklin Fountain. Additional activities include a Celebrity Dunk Tank with Stephanie Jolles (owner of Crash Bang Boom), a kid’s moon bounce, face painting and other carnival games.